Your Personal Shopper delivers packages to Tanzania by sea and by air for over one year now. We take pride in a trustworthy delivery and affordable prices that we can offer for our customers. 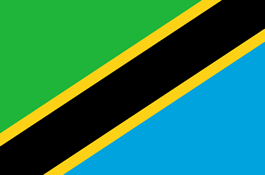 OUR mission is to provide the best international package and shipping service to Tanzania at the most competitive price on the market using our web-based shipping management system. Our goal is to establish ourselves as the best logistic service source by earning the respect of our clients and developing satisfied customers. Our core values are providing value in all that we do, continuous improvement of our service area and people. Basically, we provide warehousing and partnership services in Tanzania. Our efficient warehousing solutions give you the flexibility to meet changing demands of your business with reduced shipping and packing costs. We pack, prepare and customize your goods for different market needs. Our wide network of representative’s partnership such as Pakistan, Nigeria, New Zealand, Lithuania, Bermuda, Curacao, Estonia, Latvia Poland, Ukraine and the United Arab Emirates, it allows you to be always accessible to international brands. For shipping items and the load outside the USA or UK, no company beats YPS for parcel forwarding. Your Personal Shopper offers great price to Tanzania as well all over the world, with expertise and experience the client can count on. If you ship to Tanzania, you can best save on price through cheap service, while ensuring the safety and timeliness provided at YPS. Thank you for read all information! Next Courier ships your packages directly to you at your doorstep.